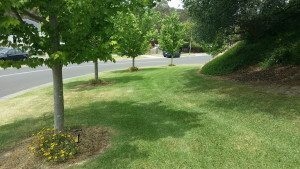 Are you after a reliable and professional lawn mowing service in Doncaster or Doncaster East, Victoria? Your lawn deserves to be maintained properly to ensure that it will continue to look healthy and lush, so you can’t afford to just leave this task to anyone. You’ll want experienced yet friendly professionals who have the right tools and skills, not to mention all the necessary accreditations, to carry out the task. Look no further. The professionals at Acre Lawns offer both residential and commercial lawn mowing and garden maintenance services. Rest easy knowing that we are fully insured for public liability and work cover, and our key staff members are police checked and properly trained to use our equipment. Our team has years of experience maintaining lawns and grounds at private and commercial properties, estates, reserves and parklands, including regular lawn mowing services for schools, factories and body corporate apartment buildings. We have a variety of clients in and around the Doncaster area and would be happy to come and professionally mow your lawns, whether it’s a one-time job or a regular service. See for yourself how we can help make your lawn look its best by calling us for a free, no-obligation quote on your lawn mowing needs. Doncaster (population 18,359 in 2011) and Doncaster East (population 27,047 in 2011) are two of the main suburbs in North East Melbourne that the garden maintenance team at Acre Lawns services. They are located 14-18 kilometres from the city centre of Melbourne. Doncaster and Doncaster East are suburbs in the City of Manningham. Useful checklists and guidelines including for pools, fences, tennis courts, rainwater tanks, landscape plans, vegetation removal, bushfire management and even a guide to local plants. Permanent Water Use Rules for residential and commercial gardens and lawns in the Yarra Valley Water District, which Doncaster and Doncaster East belong to. Information about local regulations for watering, hosing, washing, filling pools, spas, fountains and water features, and about exemptions. 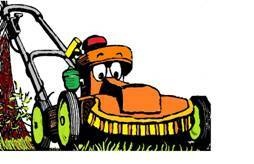 Read more about our lawn mowing services, ride-on mowing and garden maintenance services. Eric and his team have been mowing my lawns for the last seven years and I have had many comments about how neat my lawns look. Eric is reliable, efficient, willing to do extra as the need arises and very pleasant to deal with. I would highly recommend Acre Lawns to anyone looking for a good mow and someone who is knowledgeable about plants and willing to put his knowledge in to practice.